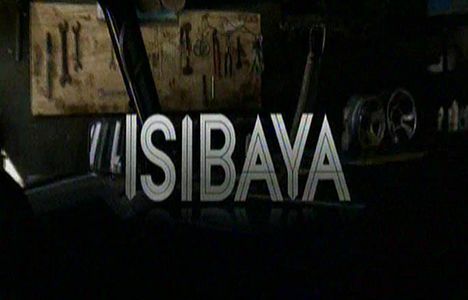 isiBaya Teasers April 2019 – Upcoming Mzansi Magic, drama series ‘isiBaya’ teasers, previews, updates, episodes, highlights and spoilers for April 2019. Iris and Jabu finally have to face facts about their past and present before they can agree what their future will be. When Judas confronts Qaphela about his behaviour, he is challenged by an entirely unexpected person. Saddam confronts one of the people responsible for the death of his child and offers them a terrifying choice. Upset with his father, Qaphela steps in to defend Zanele’s honour. Two unexpected arrivals make an already strange day almost perfect for Ntwenhle. As the Zungu family gather for a tense Easter weekend, Saddam’s revenge plans deliver a shocking result that cuts to the very heart of the Zungu family. Qaphela’s brawl starts to reflect badly on Operation Khuculula. The family is shocked about what has happened to them and blame Jabu. Mkabayi has to leave for JHB to try and manage this new crisis. Meanwhile, the wives unite to deal with the crisis in the Zungu household. Mkabayi realises the odds are stacked against them when she sends Fezile back to KZN to try and stay ahead of the crisis. Thandeka confronts Jabu about his role in their father’s troubles. S’bu receives wise counsel from his father. Fezile’s attempt to manage the situation almost lands him in trouble. Thandeka receives a surprise visitor and an unexpected offer. The Ngwenya family endures a cold war between father and son. Melusi finally loses his cool with Mkabayi. Mpiyakhe faces a critical moment and his family realises they need to prepare themselves. S’bu justifies himself to Thandeka and Mpiyakhe surprisingly backs him. Judas overhears a damning conversation between Qaphela and Zanele. Sibongile finds herself at odds with Phumelele, again. Convinced she needs her help to solve the problem, Mkabayi plays hard-ball with Cebisile. S’bu and Thandeka anticipate the gathering storm faced by their family. Judas decides to remove a problem at the heart of his family. The wives grow increasingly unhappy with Mkabayi’s way of doing things. Cebisile is livid having been put in an impossible position. Qaphela is devastated. Mpiyakhe tries to intervene with Mkabayi but she truly believes she is doing what is necessary. Fezile blames himself for what Cebisile is going through. Meanwhile, Jerry has a hard time burying the truth.